Specifically target your leads - Putting a post up on your personal and business wall can be great, if you’re only trying to target friends and family. But if you need to reach a broader audience, you also need to make sure that the people you are reaching are in the status you’re looking for (wanting to buy or sell). For example, a seller demographic would be labeled “Homeowners”. All of this can be accomplished when building your ad. See stats for how your ads are performing - Who doesn’t love data? We need to be able to measure how well certain marketing initiatives are doing and if they’re not doing well, maybe it’s time to reallocate money to something that is. 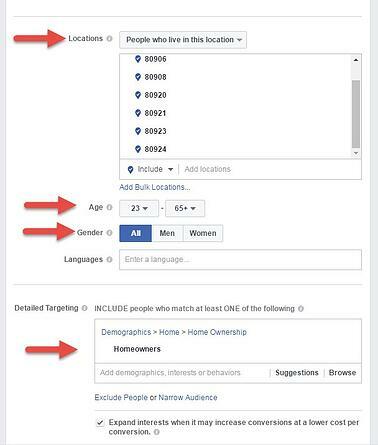 The point is that these social media channels can help you move more listings by finding EXACTLY who you are looking for. All of this can be intimidating at first. With the right ads targeting the right audience however, your social media advertisements can net you your best sales. If you’re not sure how to do these initiatives, or just don’t have the time, we are here to help. Speak with a Zurple team member today about how to set up a client generating campaign.